Style Theory: Stunning Spring outfits...dust off your 'capsule collection' clothes hanging in your wardrobe and pair them with a few gorgeous, thought out, 'on trend' items for fresh and Spring-like look. The pink coat trend continues.. Pale blue shoes are having their season in the spotlight - Zara has some beautiful versions. Double denim still looks chic, work a pale denim/chambray shirt on top with darker denim jeans for a flattering look. The layered coat look is ideal for Spring the UK. The black shift dress looks fabulous with the two colour brogues. 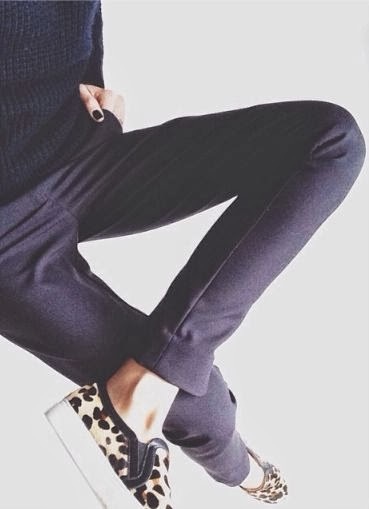 Isabel Marant gets it right every season, I love these trousers paired with the heels and delicately frilled top. Brogues feature for another year. A denim dress will last from spring (wear now with tights and ankle boots) through to Autumn. Now for My Style over the last couple of days, I haven't quite launched into Springwear yet but may have purchased a new spring like pair of New Balance trainers and a couple of the items above..more to follow! For a trip to the London Aquarium with the littles..an amazingly beautiful day and a fabulous walk along South Bank..! Went out for drinks with University friends in London, it was a fab night and I loved wearing my new Primark bomber (it was £10 in the sale!) which the lovely Michelle from MyFashionable40s bought and I promptly copied! A night out for the last of my little sister's 30th birthday party's at the Farrs School of Dancing bar in Dalston, full of very cool, young trendy people, it is fair to say I stood out like a sore thumb..next time I need to think less is more..! So there is my round up of Spring inspiration, outfits and my style....come on Spring we are waiting for you to truly arrive! Another great post! 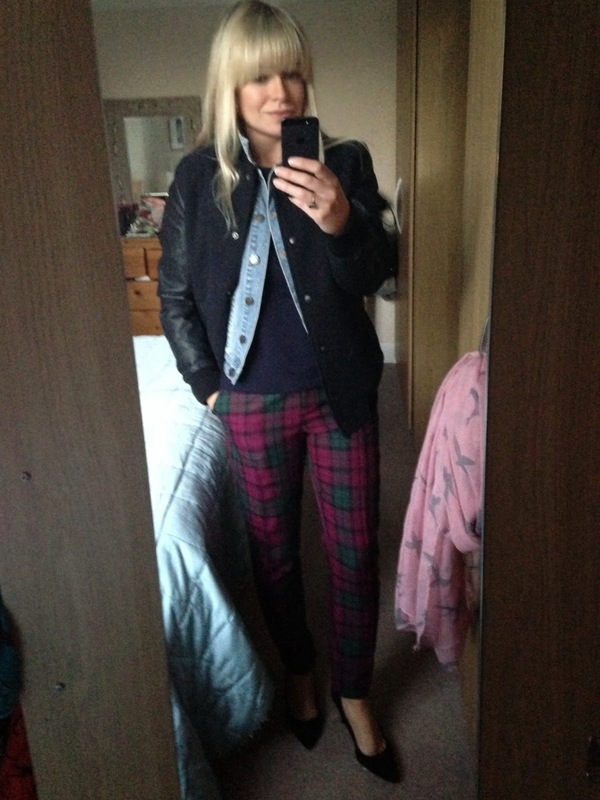 Love your bomber jacket and checks trousers. Thank you for the lovely mention Frances! Love the collages.....great inspiration for pulling outfits together with some wardrobe staples! Well, everyone in Dalston thought you were incredibly stylish. I can't ever imagine you being over or underdressed for anything - it's just your imagination. 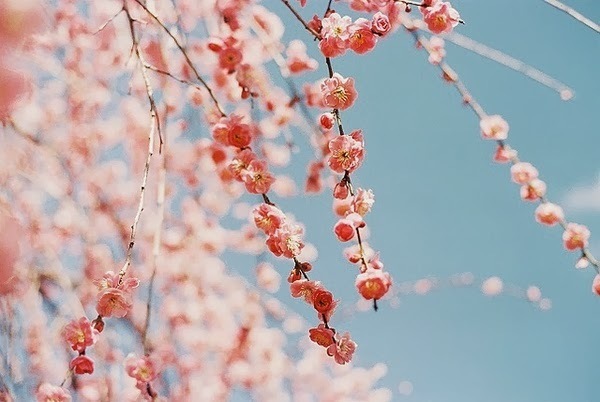 And yes I wish the Spring temperatures would hurry up - I want to wear less layers and lighten up a little. Your kiddiwinkles are gorgeous! They obviously take after mum then. I love your bangs! I'm a blonde too, getting my haircut on Saturday and just may have to do this!! Thanks so much Hayley, my bangs cover a multitude of sins, my form of Botox! Love the outfits you put together Frances... I'm taking notes for a few new spring purchases! 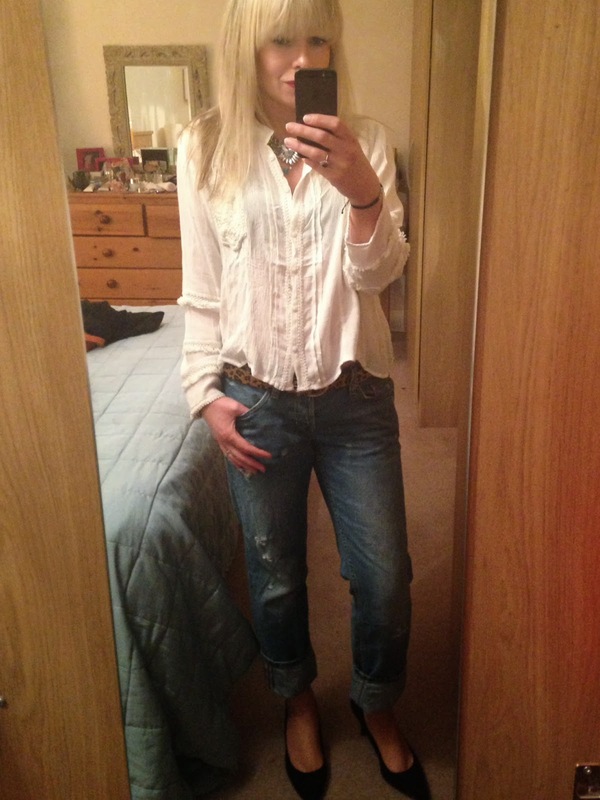 I LOVE your outfit - blouse/jeans - I am going to copy this!!! Maybe even for the weekend ahead of us? 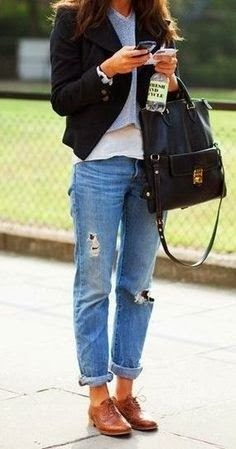 Your collage of the boyfriend jeans and different shoes is so so so helpful! Love it. Any Excuse for a Present...!